Computers and technology are my chief area of expertise. I received my first computer in 1983: a Commodore 64. 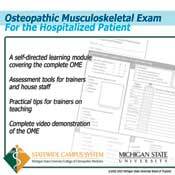 I am currently a web / software / DB designer for the Michigan State University College of Osteopathic Medicine. I still have my original C64. Primarily, I work for the College of Osteopathic Medicine at Michigan State University, in the postgraduate medical education division known as the Statewide Campus System. Chiefly, I maintain the SCS websites, including development in PHP, Coldfusion, MySQL, MSSQL, Filemaker, and other technolgies. I also develop & support applications for eLogs: a PDA-based Housestaff patient encounter logging system. eLogs revolves primarily around Pendragon Forms, and I have written a great number of applications that extend the usability of the Pendragon system. These extensions are written chiefly in Coldfusion and PHP. I designed the website and the eLogs logo. I have also designed and developed Coldfusion Reports that Interns, Residents, and their local hospital administrators and view and print. Once in a while, I moonlight and do some web design or consulting. From simple updates to providing full-blown eCommerce solutions. 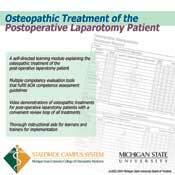 Mostly assembled in Macromedia Director, these are self-directed learning modules that feature specific procedures in Osteopathic medicine. All of these modules have been released on CD, and are available online to SCS member institutions. For both modules, I did all of the programming, graphic design, and CD artwork. The content was created using a variety of tools, with final assembly taking place in Adobe Encore DVD. I did the complete production, save for the content itself. This includes the video editing, voice overs, artwork, printing, assembly... you name it. Evaluation and Treatment of Patients with Acute Head, Chest, and Low Back Pain after Ruling Out Conditions Causing the "Red Flags"
Launched Console5, LLC in 2011, selling repair parts, kits, games, and refurbished hardware for vintage consoles and PCs. I wrote 2 "Hacks" for O'Reilly's Retro Gaming Hacks covering homebrew video games - one on creating cartridges, and one on creating packaging. I contributed screenshots for Digital Press Collector's Guide Advance. They were principally for the Memorex VIS, a fairly obscure game system which had no previously existing screenshot library. Old-school RevRDist control files & theory from the OS7/8/9 days.